Consultancy - Needs Assessment for implementing a Geographic Information System (GIS) based solution including defining organizational, staffing, system, hardware and software requirements. Database design and System integration. 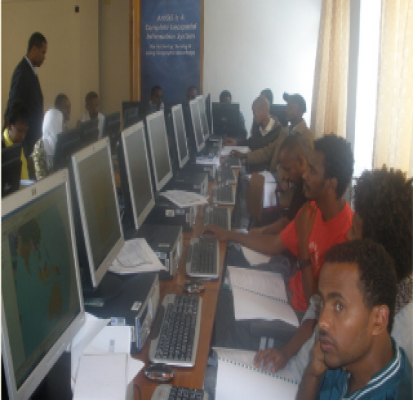 Training - Giving training on GIS is one of the major focus areas of ISS. We have vast experience in giving authorized GIS training using the popular GIS software. ISS has ESRI certified trainers and specializes on GIS training. Working with Geo-database and many more topics according to client's needs. Product Sales - ISS offers a wide range of ESRI software products, and is committed to continued after-sales support to its customers. Environmental Systems Research Institute (ESRI) is a world leading GIS software producer. User Support - Our customers are assisted with the installation and configuration of their software. We provide general support to all our customers through mailings and distribution of Arc News and Arc User. Please contact us today to learn more about our services!